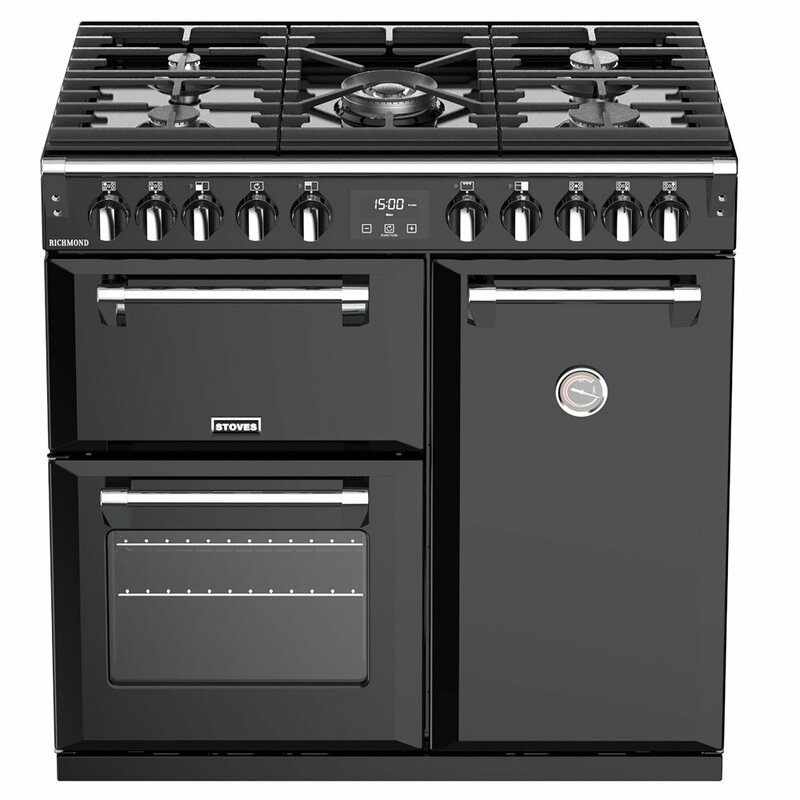 This fantastic Stoves Richmond cooker makes a brilliant impact, showcasing great design and loaded with features to make cooking a pleasure. 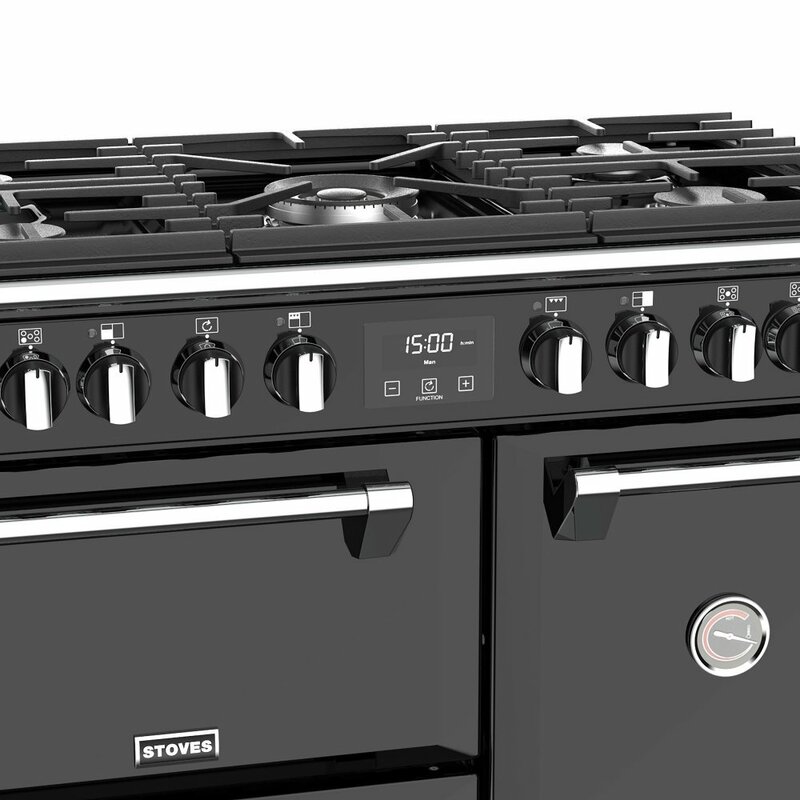 With a fantastic multifunction main oven, with options including fanned, conventional, pizza and bread proving, you can select the best option, whether you are a novice or a pro baker, with EquiFlow technology evenly distributing heat. 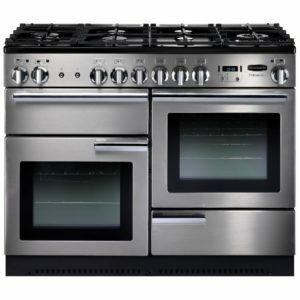 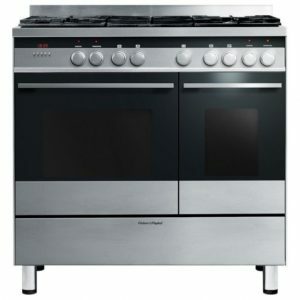 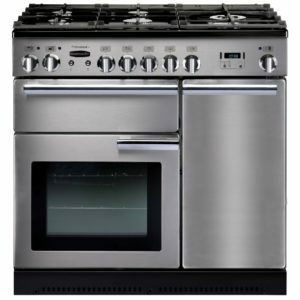 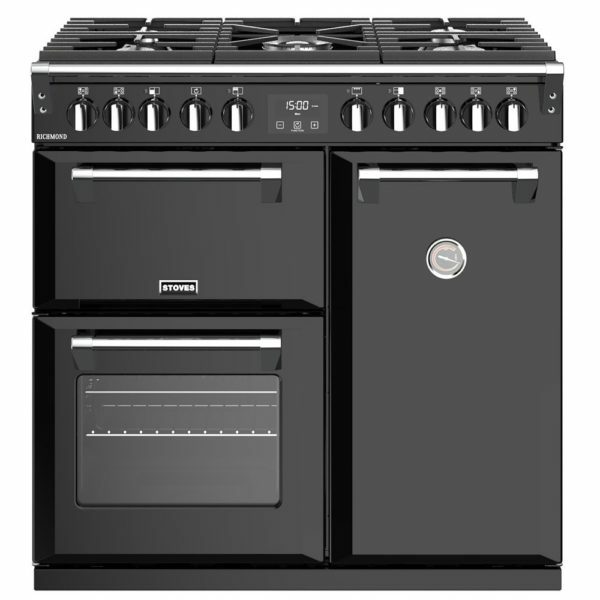 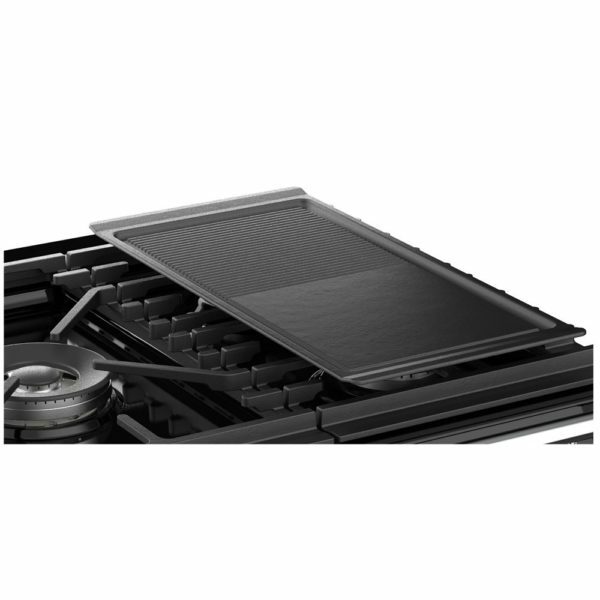 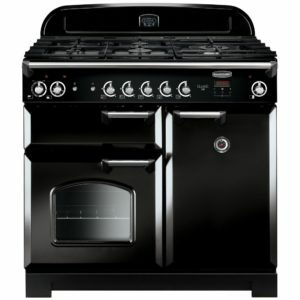 It is topped with an impressive five burner gas hob top, including the brillant Power Wok for intense heat. The Maxi Grill offers oodles of space and the incredible Pro-Trac shelf rails offer double extension, for ease of use. 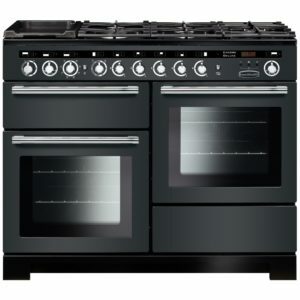 All controlled by the touch control LED display for ease of use. 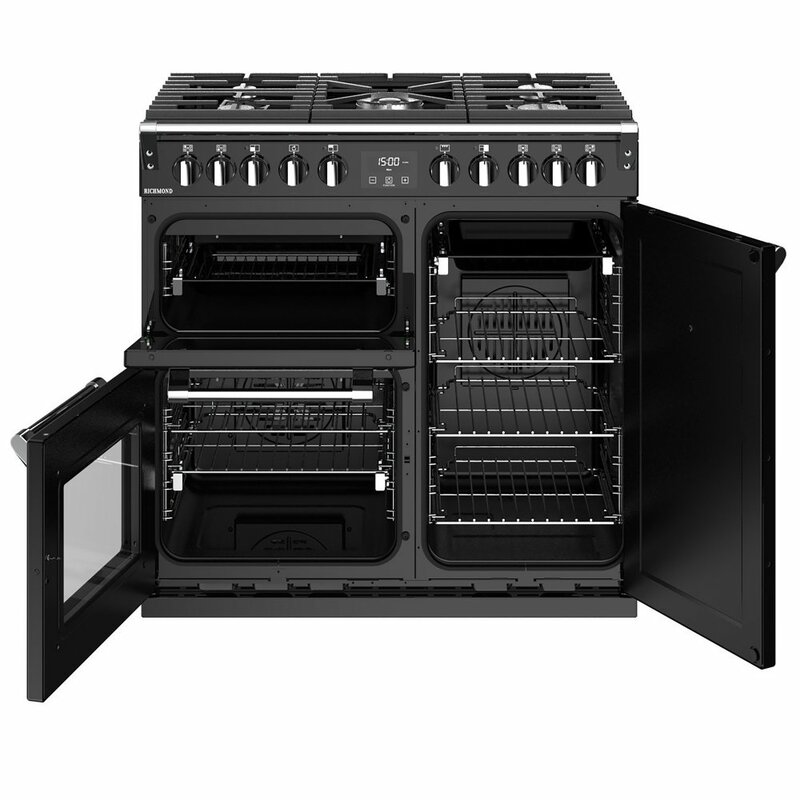 Finished in timeless black with chrome accents it looks fantastic, so get ready to show it off!